Analyst: Sony&apos;s $249 PSPgo Is "Too Much"
Edge Online reports that Nintendo has already sold 20 million units — 50 million worldwide — and plans to sell another 26 million this fiscal year. Noting that a price cut is not an "almighty weapon," Nintendo president Satoru Iwata said recently that the company plans to address a slowdown of Wii sales by introducing strong new software rather than reducing the cost of its hardware. But Pachter says a price drop is highly likely. 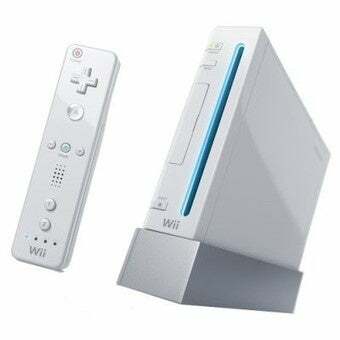 In a research note, the analyst said, "Wii supply has finally exceeded demand, so we expect hardware sales to show year-over-year decreases for the first half of 2009. In order to hit its full-year Wii shipment forecast, we expect Nintendo to cut the price of the Wii before [the] holiday, likely to $199.99." "In the second half of the year, we expect Sony to cut price for the PS3, and if the cut is deep enough, we expect Microsoft to respond (either with bundles or with a price cut of its own, even as Microsoft just introduced a Xbox 360 Elite bundle with free games Halo 3 and Fable II)."